Are you wanting to build you own camper vehicle, campervan or mobile tiny home (home of wheels) but you’re completely overwhelmed? Or are you looking to have a local carpenter/van builder make you a home on wheels but you want to have a clear idea about what features you want and where to locate them, and/or have a base design for them to follow but you don’t have the experience of design software? We can help! We have been building homes on wheels and living in them for years. Yes – we’ve made plenty of mistakes along the way and have found out lots of tricks through trial and error. Whilst that’s all well and good, building your own home on wheels can be a very expensive and frustrating process. We can’t garuantee that it’ll be smooth sailing the whole way through, but we think that our experience can help you to get your build finished sooner, will less headaches / buyers remorse / “wish I’d known that when we started” stress, and under budget! 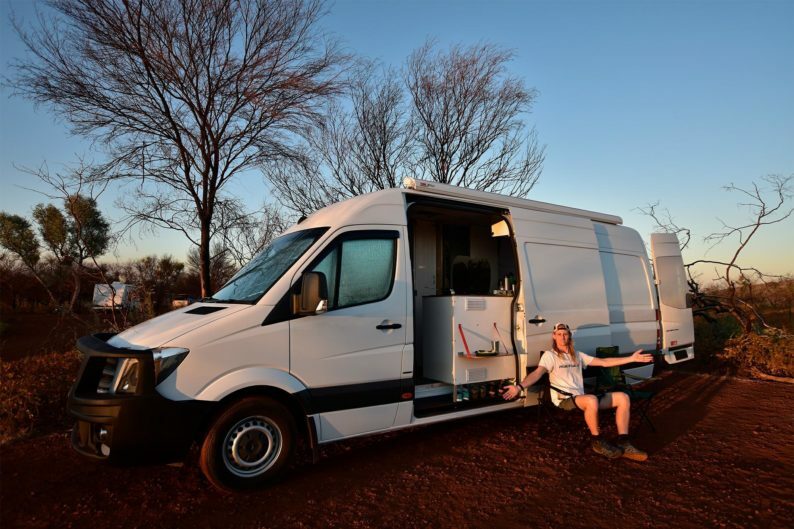 We want to help other people around the world discover the joy, freedom and liberation of a minimalist, low cost vanlife lifestyle. Let’s do this! How much does it cost? The first 15 minute consultation is totally free! From there on we charge $80/h for general consultation and $60/h for design work (all prices in $AUD). We also offer pre-purchase discounts on hourly rates if you pay for multiple hours up front. We are payable by Paypal for Australian and International clients, and also by direct electronic transfer for Australian clients. Cryptocurrency payment options are TBC in the near future. Please contact us if you wish to obtain a quote and further information. Got questions? Need advice or direction? Once you’ve got time in credit, you just need to send us a message or email to book a time for a consultation. If you have specific questions please note this in your email so that we can prepare and have the information on hand for you. What about the DIY and how-to content that’s on your website? This is an exciting evolution in the Comfortably Lost mission to help others find greater freedom, excitement and a sense of community in their lives through our own experiences and accumulated knowledge. We will continue to publish free to access information articles and videos to help the wider van dwelling community. This service is designed in mind for people who require extensive, personalised and ongoing assistance.